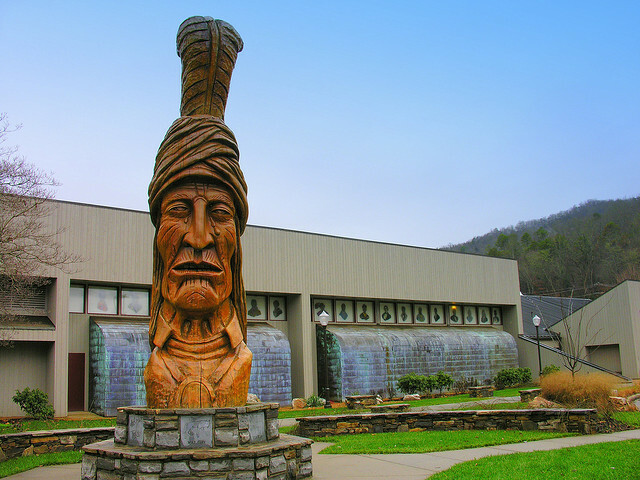 Join us for a day trip to Cherokee, NC to enjoy Native American art and culture, delicious food, and good company! Explore the Museum of the Cherokee Indian’s Story of the Cherokees and Emissaries of Peace exhibits with a member of the Cherokee Friends. Enjoy a scrumptious lunch of Southern home cooking (with a slice of mouth-watering pie for dessert!) at Granny’s Kitchen. After lunch, visit Qualla Arts & Crafts Mutual for the best offerings of traditional Eastern Cherokee arts and crafts, or head over to the 105th Annual Cherokee Indian Fair for a cornucopia of sights and sounds: authentic Cherokee culture, local art, dance, music, rides, and more! Space is limited. For more information or to register by phone, call 828.253.3227 x122. Dedicated to the North Carolina Arts Council’s 50th anniversary.